It’s been a minute since we’ve heard anything about the next season of Castle Rock, but Hulu’s Stephen King anthology series is back in the news with a righteous vengeance today. Deadline has the scoop on the first casting and plot details for season two, and honestly, where do you even begin?! 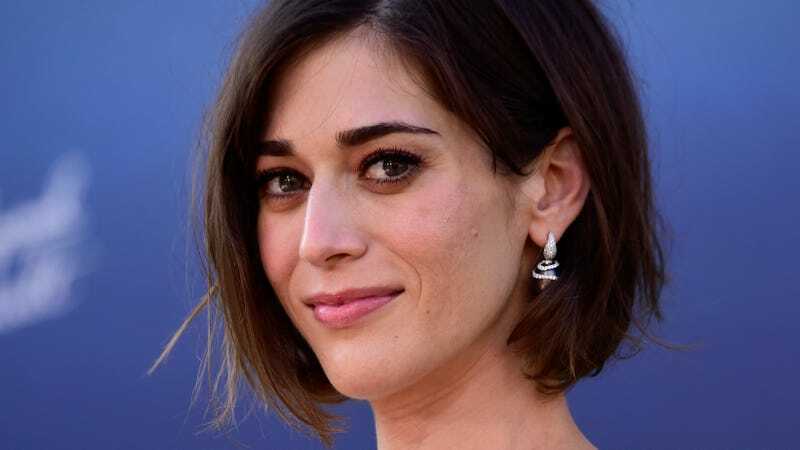 Lizzy Caplan will headline the ensemble for next installment of Castle Rock, which–according to this report–is basically like ultra-mega-Stephen King fan-fiction gone wild. Combining plot elements from Misery and Salem’s Lot (and more, I’m sure), season two will star Caplan as Annie Wilkes, the mentally unstable super-fan who kidnaps and abuses her favorite author in Misery. But wait, there’s more. Eighth Grade’s Elsie Fisher will play Joy, Annie’s home-schooled teenage daughter–and yes, that is an entirely new character invented for the series, which is very much in keeping with season one’s introduction of the King multi-verse (something that has long been a part of the author’s novels). Also on deck for season two of Castle Rock are Tim Robbins as Reginald “Pop” Merrill, the head of a crime family that has appeared in numerous King novels. Garrett Hedlund will play his son, Ace Merrill, an infamous local bully who is primed to inherit the family business. Unfortunately, he’s struggling to maintain the peace with the neighboring town of Jerusalem’s Lot–as in the same Jerusalem’s Lot that was taken over by vampires in King’s 1975 novel. In addition to Fisher’s Joy Wilkes, the series will include a couple of other new characters, like Dr. Nadia Omar, played by Yusra Warsama (Assassin’s Creed) and described as a “Harvard-trained Somali medical director of a rural hospital in Jerusalem’s Lot.” Barkhad Abdi (Good Time) will star as Abdi Omar, Nadia’s older brother who’s trying to build a Somali community center in the town. Connecting the Merrills to the Somali community is Ace’s brother Chris, played by 13 Reasons Why’s Matthew Alan. The most notable bit of this news is, of course, Caplan’s casting as Annie Wilkes, which lends yet another meta-textual layer to a series that’s already insanely meta. Annie is often used as an example for when fandom goes wrong: When she kidnaps her favorite author–Paul Sheldon–she forces him to essentially turn her fan-fiction into canon for his prolific book series. Incorporating the nefarious queen of fan-fic into the narrative for season two should make Castle Rock even more complex and fascinating, especially when you throw a teenage daughter into the mix. Or hey, maybe this Annie Wilkes is a nice librarian or something.